This is Alexial when she was young and chubby. She's a deathstalker scorpion, Leiurus quinquestriatus. 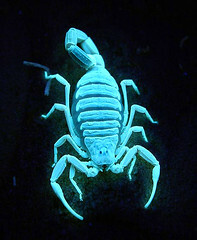 You should NEVER leave a blacklight on a scorpion long-term. The intense UV rays will eventually kill the nocturnal animal. 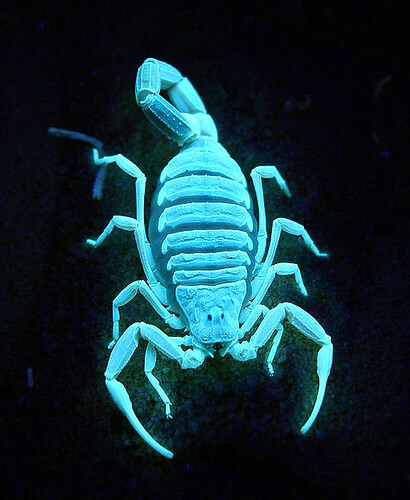 Some pet stores market scorpion habitats with blacklights because they look cool, but they don't tell you the facts.